Lil TerRio was at the BET Hip Hop Awards tonight and let's just say he didn't look..thin/well/healthy/like a 6 year old should. 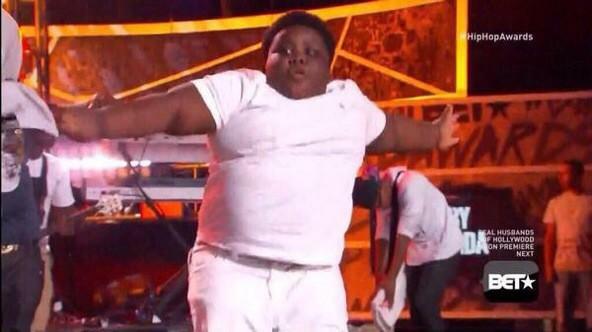 So, with all that said, I gave TerRio a new nickname. Introducing the GAWD of the clouds, Yung Cumulonimbus. You know, because 1) that white shirt didn't stand a chance and 2) he's the closest thing we have to a cloud in the rap game. Genius, I know. Thanks.